SkyDroneUsa is the east coast leader in Drone based UAV aerial media. We have been flying Drones professionally for over 10 years (since 2007). We specialize in drone aerial photography & aerial video. New York City based we fly drones capture amazing close range aerial photography and video via UAV (unmanned aerial vehicle) with up to amazing 4k quality. Our Feature Film Hollywood Grade Drone Camera can reach now up to 5.2k. SkyDroneUsa offers the wide selection of drones for rent with licensed pilot fully insured. See our drone rental list on our productions page for more details. SkyDroneUsa has fully licensed pilots with the FAA part 107 and part 61 available. If your project requires a manned helicopter we got you covered. SkyDroneUsa offers aerial views that reveal things that were unseen and in a creative way. The angles we can achieve and places we can fly these captivate and amaze! How to hire a drone pilot? Drone Services? SkyDroneUsa has been New York's "go to" company for professional drone services over a decade. We're just a click away from all Manhattan. Production Companies, TV Shows, Cooperate and Media Events, Developers and Real Estate Brokers all benefit. When a company in New York wants a drone. We are who they call? SkyDroneUsa. 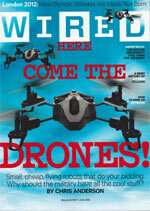 When the news needs a story on drones, we are there. Why are we so successful? We love what we do and flying is our passion. Safety is our number one priority. Safety and success are paramount to each flight. We have been in the remote piloting business long before its popularity of drones hit the main stream. When hiring a drone pilot be very cautious of many new inexperienced drone pilots who have tried to imitate our product and service. Recently low cost toy drones have flooded the market. Equipment does not equal experience and part time effort does not always equal the of your vision for your project. Who do you want to trust your project with? Experience matters. 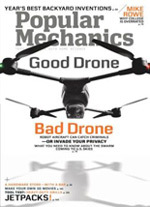 SkyDroneUsa's list of aerial capabilities is growing exponentially. Locating a UAV Drone Pilot couldn't be easier. With over a decade of building, flying and filming with remote helicopters and drones SkyDroneUsa is a foremost industry leader. The sure premium drone aerial provider in New York and east coast. We have an extensive client list and have worked for television networks, media gurus, developers, fortune 500 clients and more. Few aerial companies posses knowledge and in depth years of experience needed to fly safely and effectively the first time. With surpassing expertise operating in urban and suburban environments only certified highly trained pilots operate our film drones on location. We are fully insured so you can rest assured you're covered. Our drones are capable of other various aerial tasks in a wide array of aerial applications. For example our drone can replace a jib or crane on a production indoors and out. We can get that impossible shot for just like you wanted. The cost savings vs. that of traditional remote helicopter is dramatic. This opens a whole new door into aerial media for productions that otherwise would not have the budget. Flying platforms for almost any aerial task. We fly different aircraft for different tasks and payloads. We also specialize in future elevation photography for buildings yet to be built showing the future views in full 360 Panoramic interactive views! The sky is the limit! With precise GPS control, and gyro stabilized camera mounts The camera can now fly up close and personal revealing that "impossible" point of view and more! 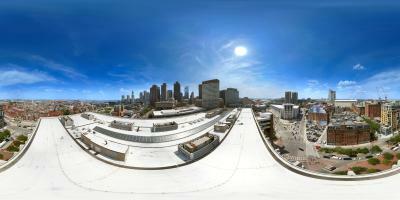 Please see our gallery for aerial media samples of panoramic drone aerial photography and more. Introducing the game changer. We are now using the most stable remote camera mount available on the market today. With a sub-pixel stabilized stabilized camera mount that rivals the footage from a manned helicopter utilizing precise IMU gyroscopic stabilization perfectly tuned. Please contact us for more information about Hollywood Grade Quality for your production. Our specialized flying camera platforms are capable of high quality digital still photography and full HD video. Our drones pilots can provide HD Aerial Footage for Hollywood Feature Films, Television, Independent Films, Commercials, Documentaries, Real Estate Aerial Photography, Aerial Inspection, Development, Construction & more! We can provide HD Aerial Footage for Hollywood Feature Films, Television, Independent Films, Commercials, Documentaries, Real Estate Aerial Photography, Aerial Inspection, Development, Construction & more. For detailed information about our drones please visit our productions page. Also for more samples of our work please visit our aerial media gallery.